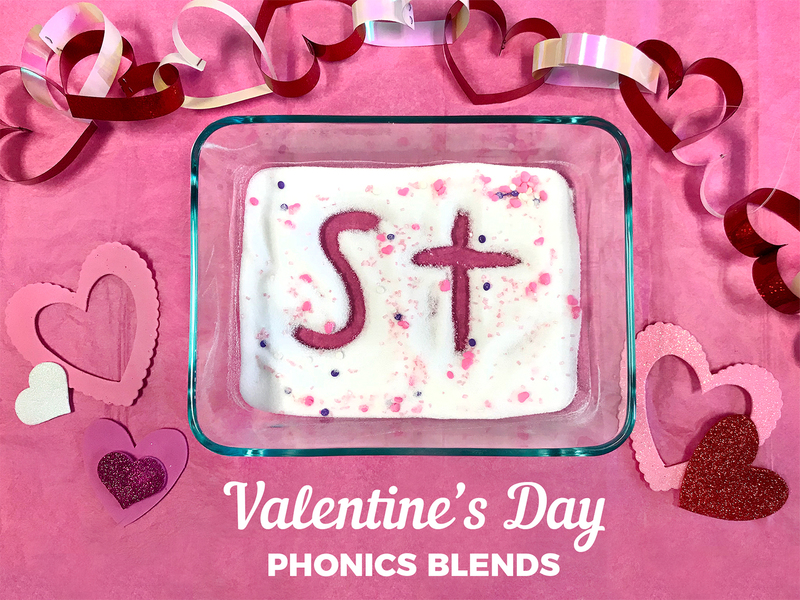 Here's a fun Valentine's Day activity you can use with your little ones to help them practice phonics blends. 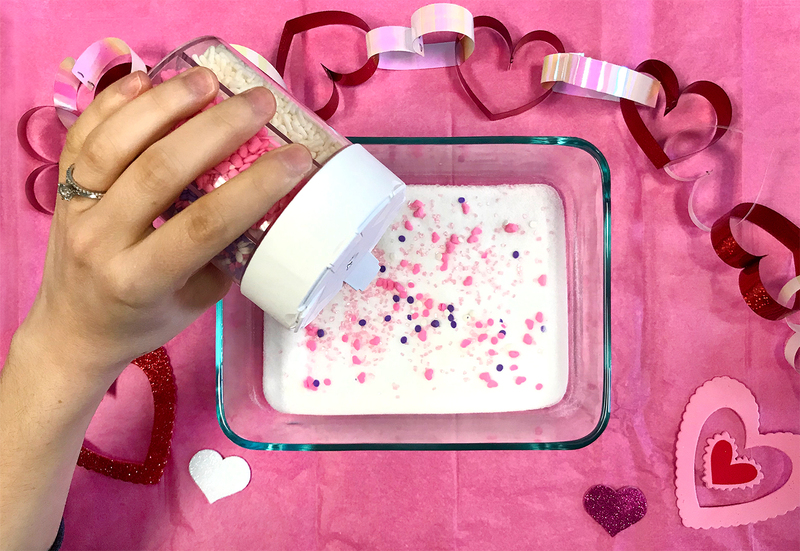 The only supplies you'll need are salt, a paper plate or plastic tray, and some Valentine's Day sprinkles! Read on to find out more. Adding a sensory activity to your early literacy program is a creative way to break up more traditional styles of learning. Around here, we're always looking for fun ways to infuse seasonal festivities into everyday learning. 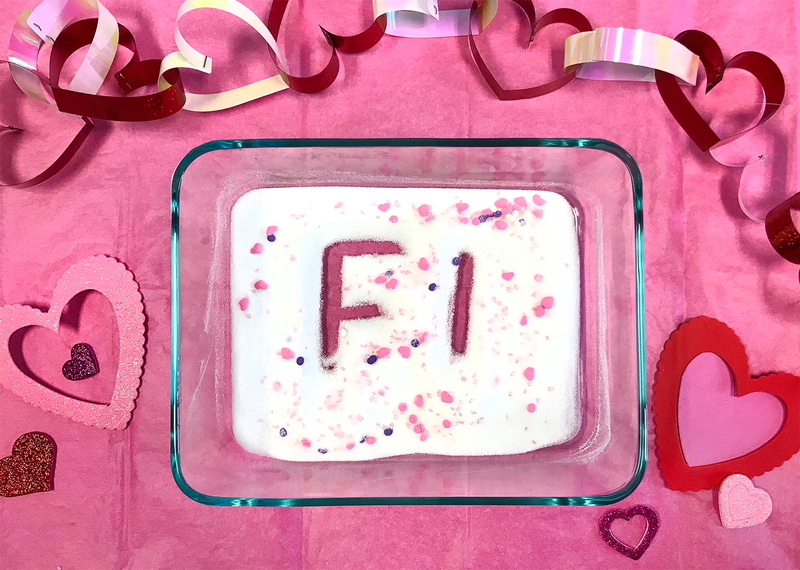 That's why we think you and your students will enjoy practicing phonics blends with this Valentine Writing Tray! Pour a thin layer of salt (a quarter of an inch thick or less) into your tray. Shake it around a little to make the layer as even as possible. 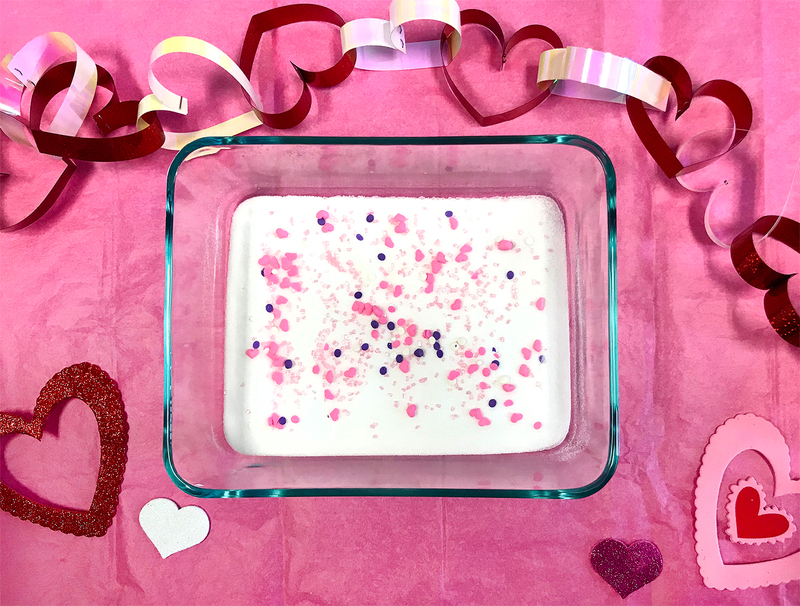 Now your Valentine writing tray is ready to use! 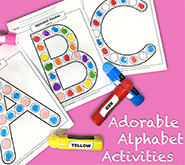 Trace a variety of phonics consonant blends with your index finger or the eraser-tip of a pencil. Here are some blends to get you started: BL, BR, CL, DR, FL, FR, GR, PL, PR, SL, SN, ST, and TR. 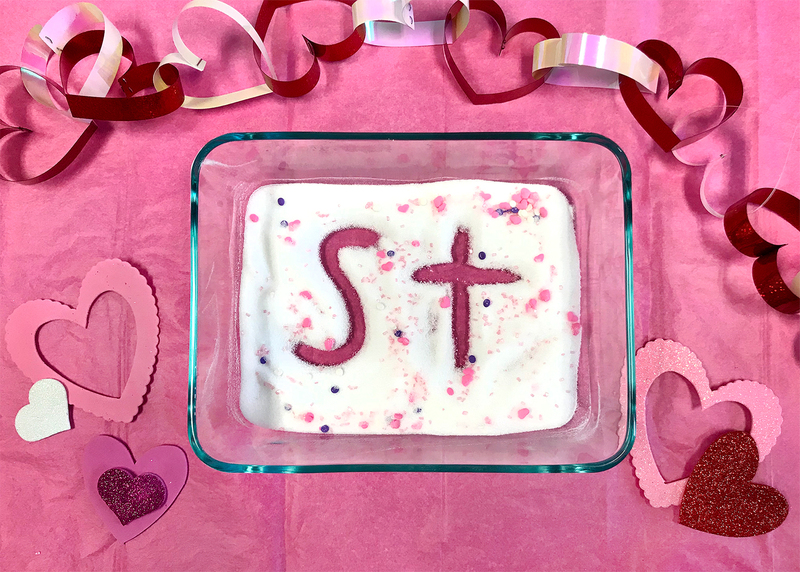 Each time your little ones are ready to write out a new consonant blend, just have them lightly shake the tray from side to side to smooth out the salt again. 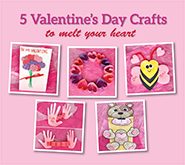 This Valentine Writing Tray can be used with other pre-k and kindergarten-level topics too, such as writing the letters of the alphabet and writing out numbers. How do you use writing trays with your students? 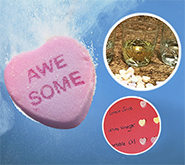 Do you have any tips for teachers and parents who'd like to try out this activity? We would love to hear from you. 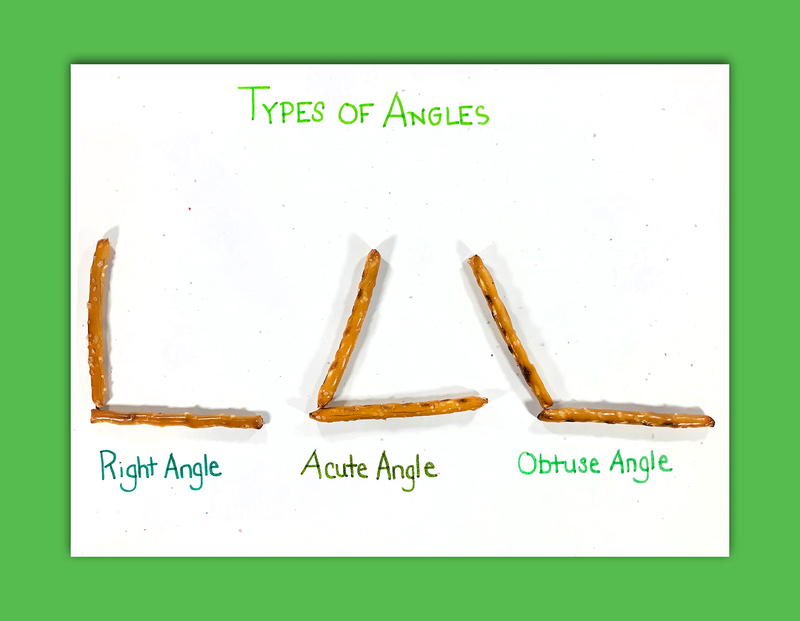 Please leave us your feedback in the comment section below. 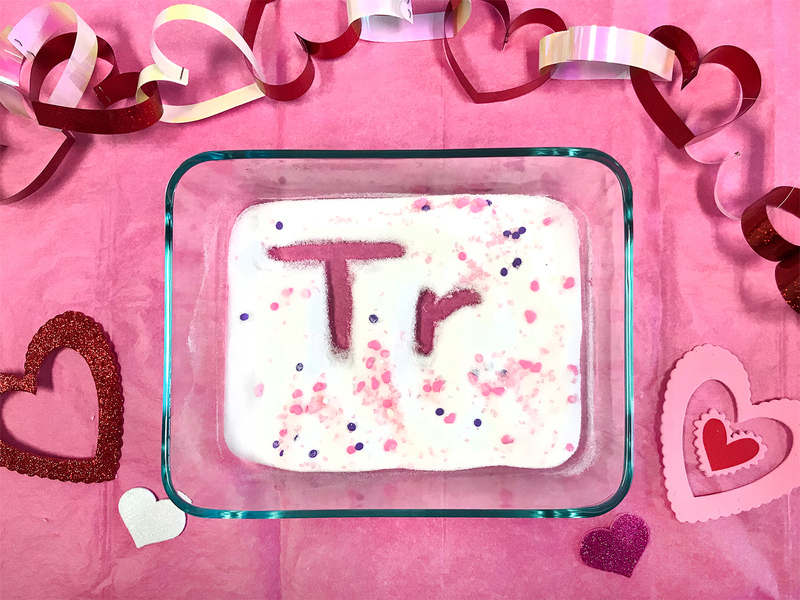 Be sure to check out the Super Teacher Worksheets Phonics Collection and our Valentine's Day Worksheets Page for a variety of educational resources.